Technology is a broad concept that has come to refer to breakthroughs that enable a better, more efficient solution – which is what Mindtree aims to do for its clients by delivering digital transformation and IT services from ideation to execution. While the most obvious benefit of technology to a small business is increased productivity, growing companies such as Mindtree also need transparency and engaging tools to keep employees motivated to serve customers better. 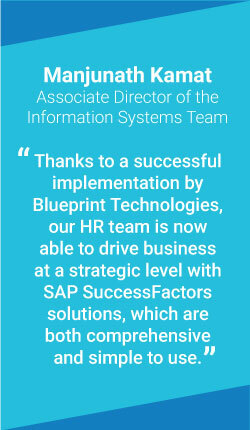 To keep up with growth and increased business demands, Mindtree chose SAP ®SuccessFactors solutions – gaining modern capabilities that allow HR to be more ®strategic than transactional. 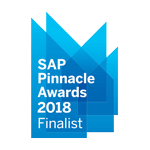 Now, with the SAP SuccessFactors Performance & Goals, SAP SuccessFactors Compensation, SAP SuccessFactors Onboarding, and SAP SuccessFactors Learning solutions, the company is better equipped for the future. That means it can continue supporting clients with the right recommendations and technology solutions to outperform the competition.